Cinema is all about pretence and illusion. Actors pretend to be other people, technology creates different looks, and sometimes cities and countries have to impersonate other places. Cinematographer Lol Crawley BSC had to deal with all these for Hyde Park On Hudson, the comedy drama about the growing intimate relationship between President Franklin D Roosevelt and his cousin, something complicated by having King George VI and Queen Elizabeth as houseguests. The film was shot entirely in the UK, with Buckinghamshire standing in for Roosevelt's country estate at Hyde Park in New York State. This presented Crawley with the challenge of making one distinctive area of countryside look like another. A further complication was the decision by director Roger Michell not to shoot a key scene at night, even though it is set at that time. Crawley says Michell was keen to shoot digitally, excited by what could be done with the technology. "His main thought was how to tackle the night scenes because he was reluctant to shoot at night," Crawley comments. "It wasn't just because late shoots are unpleasant, but how a space changes and land seems to fall away into the dark." The central drama in the film hinges on the nighttime rendezvous between FDR, played by Bill Murray, a Golden Globe nominee for the role, and his sixth cousin Margaret "Daisy" Suckley (Laura Linney), who later became his mistress. The King and Queen (Samuel West and Olivia Colman) witness some of this when they look out of their bedroom window. The sequence could not be rewritten for another time of day so Michell and Crawley decided to shoot day for night (D/N). "It's old Hollywood technique that is still valid and works with the mood and feel of the film," Crawley says. "We also wanted a fairy-tale feeling to the actions of that particular night, with some lunacy due to the full moon." Crawley has done a "little bit" of D/N before, using on-film filtering and underexposure to "do as much in-camera as possible". 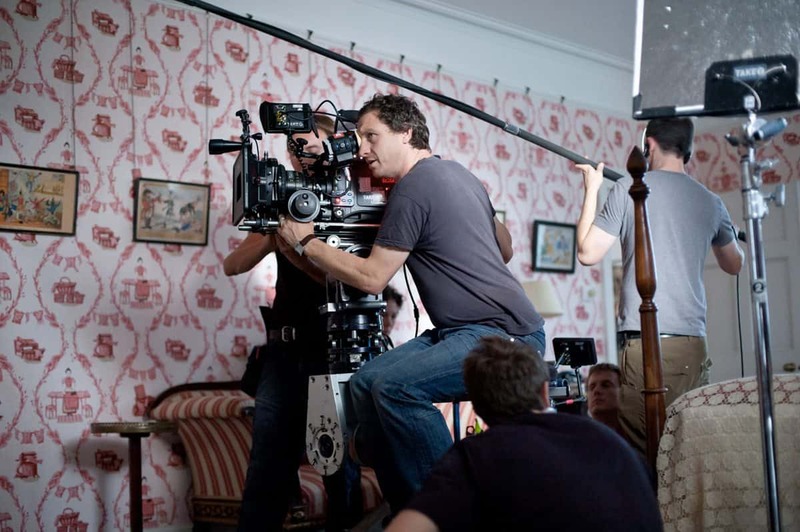 Hyde Park On Hudson was shot on the ARRI Alexa, giving him the opportunity to use a combination of technologies to achieve the effect. "We were using it as film but also exploring the digital medium," Crawley comments. 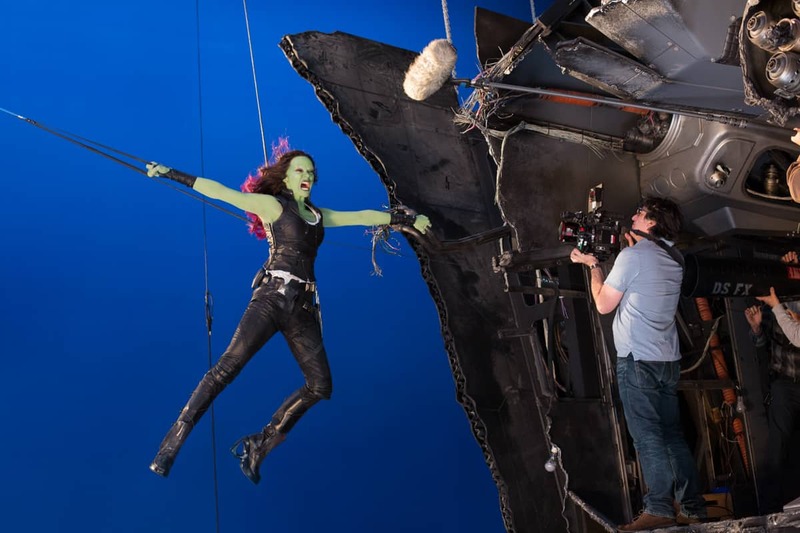 "Although you can't compare them, digital probably stands up a little better than film for this kind of thing and there's so much that can be done in DI." Crawley points out that a "big give away" of D/N is how the sky looks. "Because you're turning the sun into the moon you're dependent on the weather being consistent," he says. "If you've got five days out of 15 you can grade and then take the look further by putting in stars during DI." 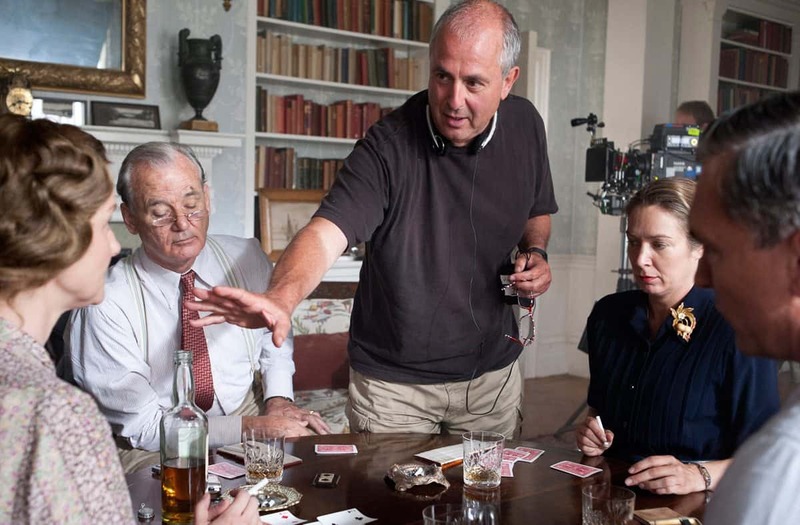 'Night' scenes were shot using "lots of HMIs", while the sequence beginning in FDR's study leading up to a dinner party and then the assignation featured four 12ks and some 6ks. Outside the sun has just set, which Crawley simulated by using neutral density filters under the windows, along with a Perspex construction suggested by gaffer James Summers. "We didn't do that much different with filtering but there was a lot more through monitoring in the DIT world," Crawley explains. "During testing we realised we could have underexposed in the camera but there was more room to play with the look in DI, so we weren't locked into something." The film was DI’d at Deluxe 142 with colourist Adam Glasman. Crawley's "default lenses" are Cooke S4s, which he has used on both film and digital productions. "They're a softer, warmer glass than something like Zeiss lenses, which are very clear and sharp," he says. "Putting that on a digital format would have been too much. Using the S4 takes the edge off digital." The lenses may have been a foregone conclusion but the choice of recording medium was only reached after pre-production testing. "We had the option of ProRes on the Alexa or the Codex digital recorder," Crawley comments. "We wanted as good as quality as possible and some future-proofing for 4K projection so we went with the Codex. As part of the workflow for this Dave Edwards, the focus puller, built a back-pack for the Codex so he could carry it round while I worked with the handheld camera. We also set up a room at Elstree Studios to churn through used drives that had been transferred, deleting the content and sending them back to set." "Because you're turning the sun into the moon you're dependent on the weather being consistent." Exteriors were shot in the Chilterns, on and around the Getty Estate near Stokenchurch in Buckinghamshire. With its rolling hills, dense woods and lush fields, this area has some similarities to upstate New York. "The landscapes are comparable," Crawley agrees, "and we didn't use much lighting as it was the summer. But, being England, the sun did go in and out sometimes. The picnic scene was shot over three days and we did use a bit of light on it. But I must have done the job right because a woman who had been born in New York State came up to me at Camerimage and was convinced it had been shot there." 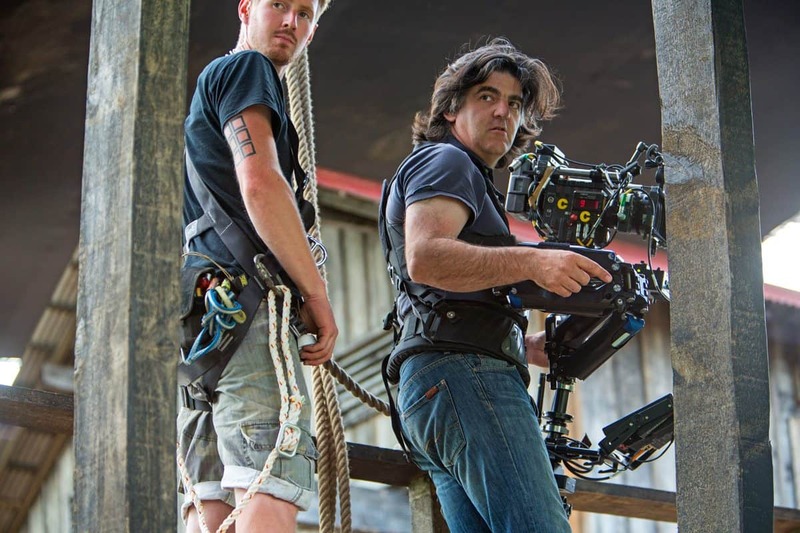 Crawley started out in 16mm productions, working his way up from loading to shooting shorts, including the acclaimed anamorphic Love Me Or Leave Me Alone (2003). Much of his work has been with non-professional or little known actors but for Hyde Park On Hudson he found himself dealing with big names. "It was a different step for me, doing make-up testing with actors like Bill Murray, Laura Linney and Olivia Colman," he says. Murray in particular must have been a daunting prospect, with his background in improvisation and reputation for eccentric behaviour. "He insisted on calling me Carlo for the entire film," Crawley reveals. "But he was incredibly generous because he was willing to sit in and be lit and not use a stand-in." 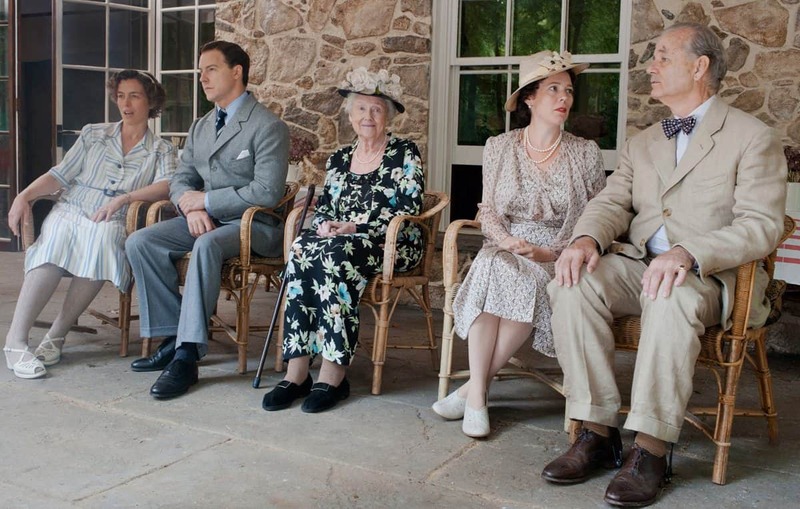 The anarchic streak is still there, though, as Crawley realised when he shot the scene in which FDR drives the Royal couple in an open-top car through woods on his estate. "I was in the car with him for some of that and he drove like a maniac, hitting tree branches as we went," he says with a laugh. "The memories - and a scar - will always be with me."